It’s official folks. We’re in the dead of winter. How much time will I spend in the snow? If you’re an avid winter traveler, then it is wise to invest in snow tires, not all-weather tires. While all-weather tires may be adequate to keep you from losing your grip, snow tires are truly built for adverse conditions. You’ll be able to maintain control, even at high speeds. Snow tires feature especially deep grooves, as well as added texture across the surface of the tread. In addition, you can invest in studded snow tires which are especially helpful on icy roads. Snow tire studs pierce and snag ice as your tire rolls over the road, so you won’t break loose even in some of the most extreme conditions. Is my vehicle particularly prone to slip on the ice? Some vehicles are simply more likely to slide than others. If you don’t have all-wheel drive, four-wheel drive, or at least front-wheel drive, then you’re driving a vehicle that’s highly susceptible to lose traction on snowy and icy roads. Invest in snow tires; you could save yourself from an accident. In addition, the make and model of your vehicle may be an indicator as to how well your car will perform this winter. U.S. News gave us a list of cars that perform particularly well in their article 10 Best Cars for Winter Driving in 2018. They note that models, like the 2018 Volkswagen Atlas and 2018 Audi A4, work wonders over winter roads, due to their traction control systems, wide wheel bases, and other features. On the flip side, if you’re out on the road in a top-heavy SUV, investing in snow tires could be a lifesaver this winter. Thinking about studded winter tires? While studded tires are still the best for road conditions that are truly horrid, they’re often overkill on normal roads. Studded tires can get damaged when you’re driving on a clear road surface; plus, studded tires can damage the road. Meanwhile, modern studless winter tires are still designed to keep traction on icy surfaces. Our recommendation: Don’t invest in studded tires unless you’re spending most of your time on icy roads that don’t get plowed. Studless winter tires are up to par on most winter roads — after all, they’re still winter tires. Will I swap out my tires regularly? Temperature swings are the norm here in Colorado. We can see 6 inches of snow on a Tuesday, and an 80 degree day on Wednesday. You never know when you’ll have to rely on your winter tires. So, ask yourself, will you be switching between your snow tires and your normal tires often? If so, it may be wise to invest in rims, as well as a new set of tires. You’ll likely only need to invest in rims once, and it can save you the headache of swapping out your tires when winter sneaks up on you. Simply pull off those lug nuts, swap those treads, and get back on the road. Winter tires may look pretty close to normal tires, but there’s a lot of science beneath the surface. Winter tires have treads that are specifically designed to grip snow, giving your tire the traction it needs to stop, start, and turn. Treads can have a combination of grooves, texture, and ribs which act like a fingerprint on the road. The more texture there is on the surface, the easier it is to grab the road. Winter tires are also built with specific rubber. This special rubber resists turning stiff in cold conditions. That provides more surface area for your tire, which means more control and a better grip. When Are Your Tires Too Worn Down? If you’re driving on worn tires of any kind, you’re putting yourself in danger — that’s especially true in winter. Your tire tread is responsible for gripping the road when it’s dry, wet, or snowy, and without tread, your tire can skitter over snowy surfaces like a marble on glass. You should have at least 7/32 of an inch of tire tread to stay safe on winter roads. Any less is dangerous. It’s a sad truth, but winter tires are relatively expensive. A single tire costs between $60 and $120. So, you may be tempted to think, “Can I buy just two?” You may be tempted to buy two tires to place them on the driving axle of your car. But that’s a mistake. Driving on two winter tires won’t reduce the hazard of winter roads. In fact, it can create more of a liability as you drive. Think about coming around a turn on an icy road. All four of the tires on your vehicle help you to maintain traction. If the front tires aren’t collaborating with your back tires (or vice versa), one end of your vehicle will spin out. It’s crucial to outfit your vehicle with four winter tires instead of two. In a front-wheel or rear-wheel drive car, you could increase your chance of fishtailing if you only install two winter tires. You may have heard that it’s helpful to deflate your tires if you’re driving in snow. While that may be true for traditional tires (by the way, deflated traditionals tires really don’t add much traction anyways), that’s not true for winter tires. You should follow the pressure guidelines for your new tires to a T. If you over-inflate or under-inflate your tires, you can hinder the performance of your winter tires, and you can decrease the life of those tires. Don’t under-inflate or over-inflate your current tires; invest in winter tires or all-weather tires. 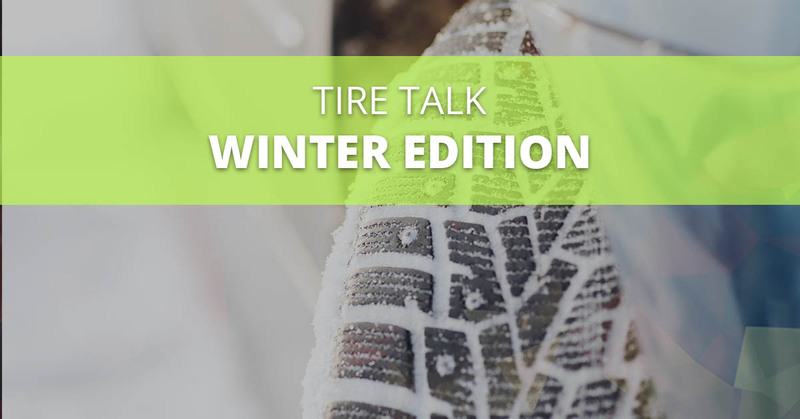 With Avalon, swapping out your old tires for new, winter-ready treads is simple. Give us a holler to start discussing your options, and we’ll get you back on the roads as soon as possible. Drive safely out there this winter!